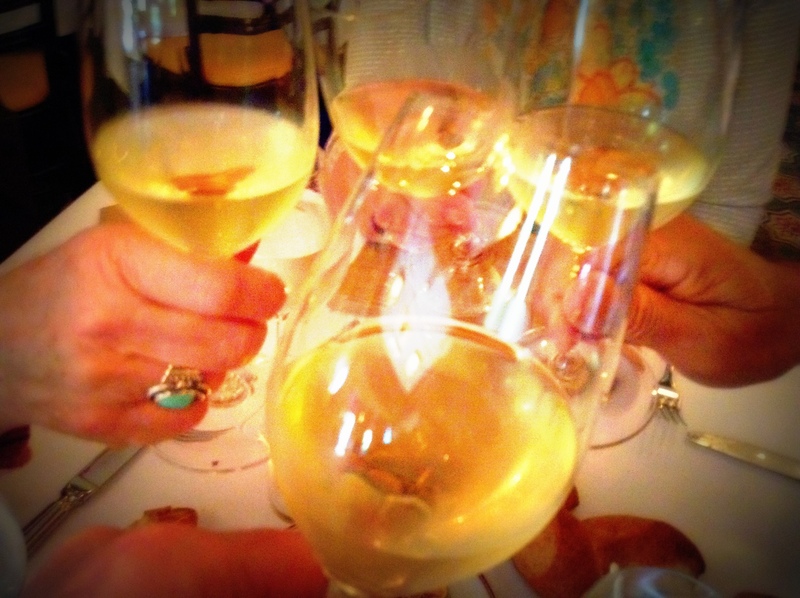 As the Tin Man prepared for his trip to the wine country, French Laundry was at the top of his list…..oh, then this news………. “The iconic French Laundry in Yountville has confirmed dates for a planned closure and major renovation, and the plans are a fair bit more ambitious than originally hinted at. 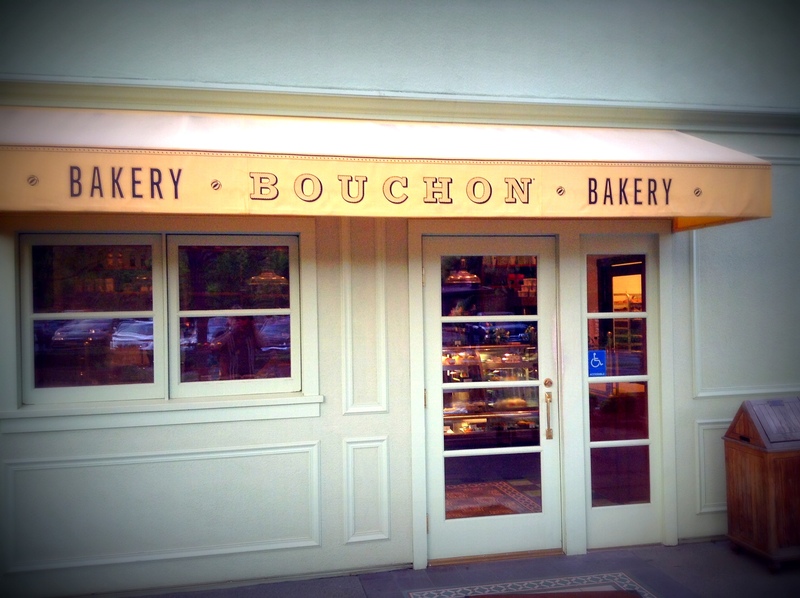 As chef-owner Thomas Keller tells the SF Chronicle, what began as some modifications to the restaurant’s entry and an expansion of the kitchen blossomed into a major overhaul and reconstruction of the kitchen which will begin the week after Christmas and won’t be complete for about six months. You see the reason for this desire is because Thomas Keller (born October 14, 1955) is an American chef, restaurateur, and cookbook writer. 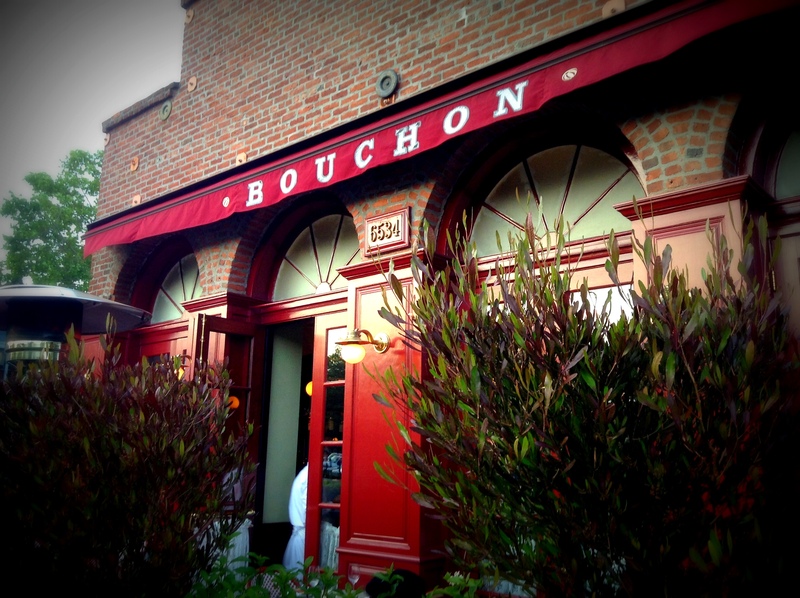 He and his landmark Napa Valley restaurant, The French Laundry in Yountville, California, have won multiple awards from the James Beard Foundation, notably the Best California Chef in 1996, and the Best Chef in America in 1997. 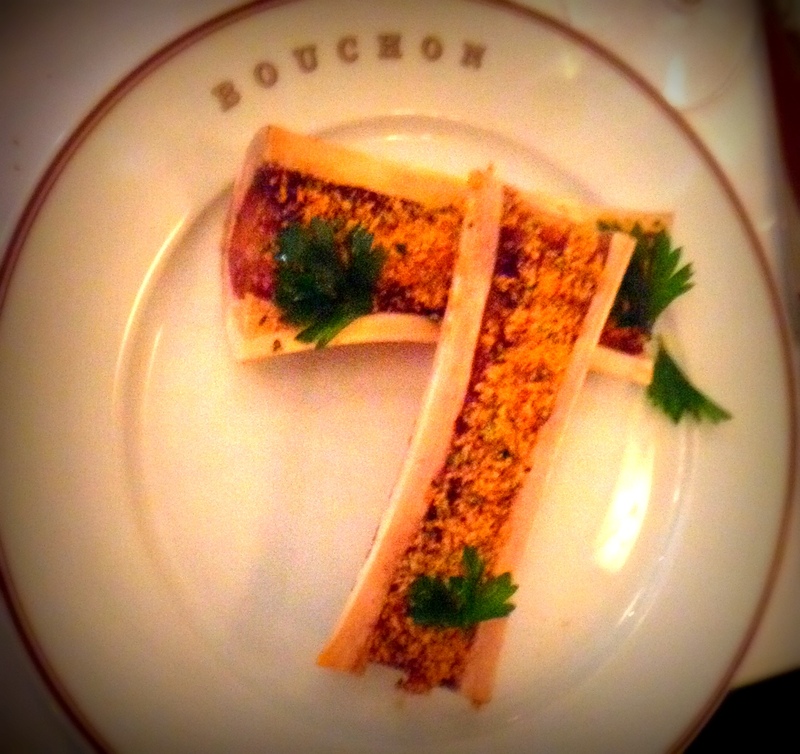 The restaurant is a perennial winner in the annual Restaurant Magazine list of the Top 50 Restaurants of the World. Timing is everything!!! 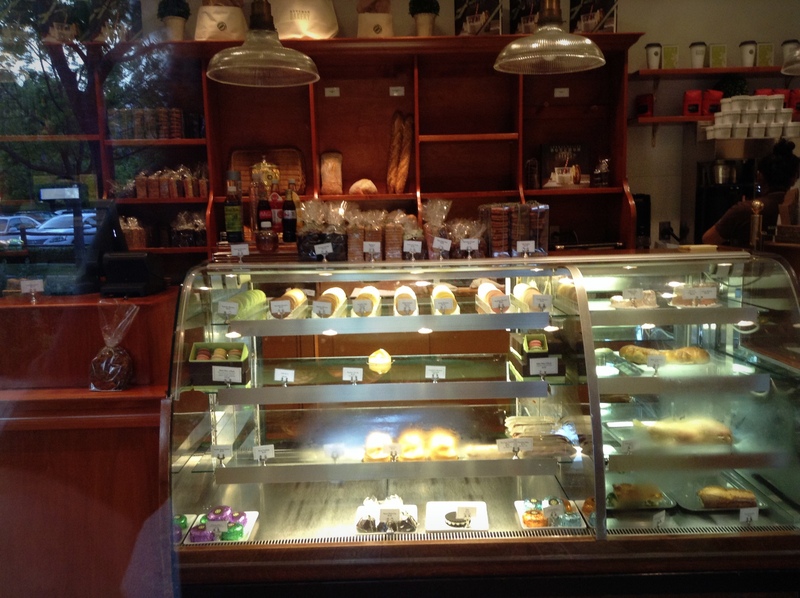 But wait, there is more……. 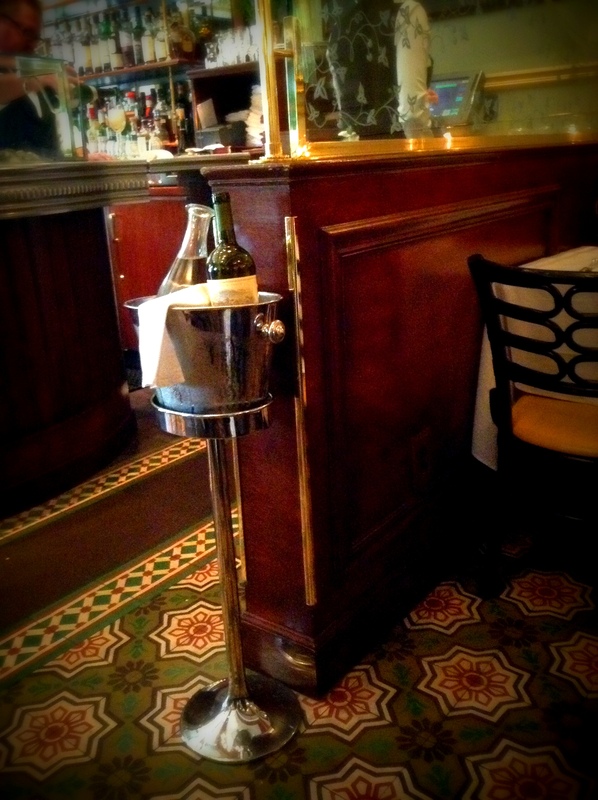 In 2005, Keller was awarded the three star rating in the inaugural Michelin Guide for New York for his restaurant Per Se, and in 2006, he was awarded three stars in the inaugural Michelin Guide to the Bay Area for The French Laundry. 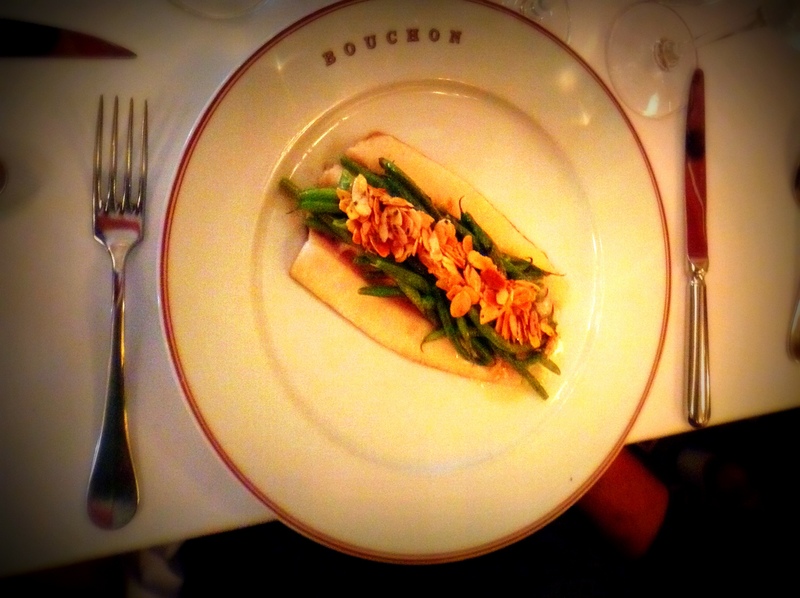 3 at Per Se, 3 at The French Laundry, and 1 at Bouchon. 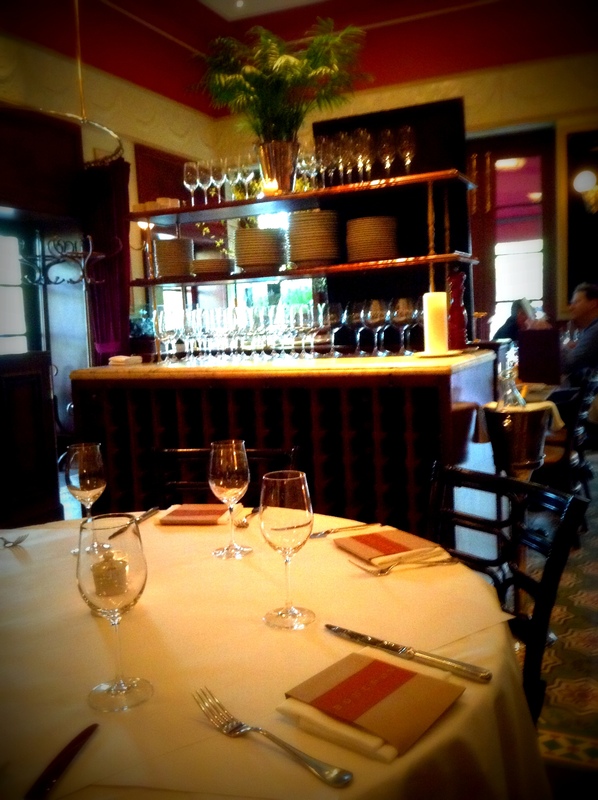 Delightful and Delicious was awaiting us within these walls…..
We were seated at a lovely table and then the magical culinary symphony began…. 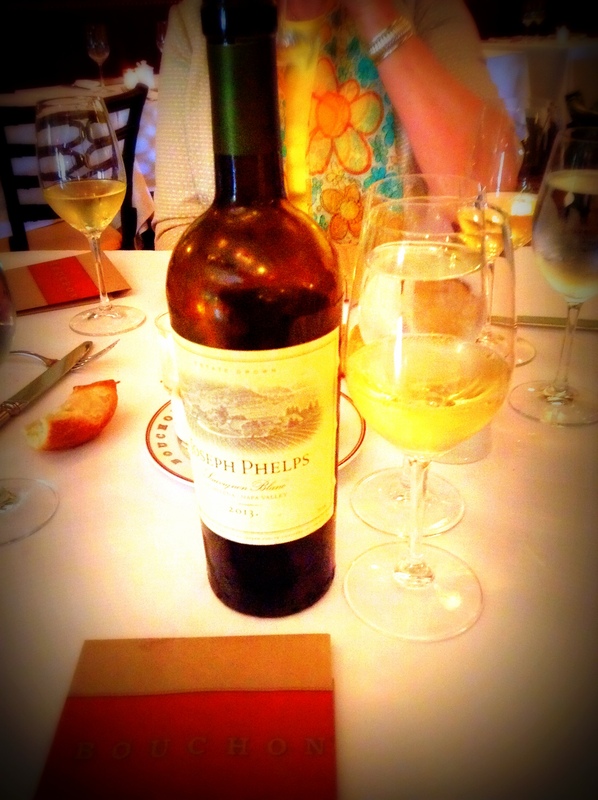 Of course, we must begin with wine…. 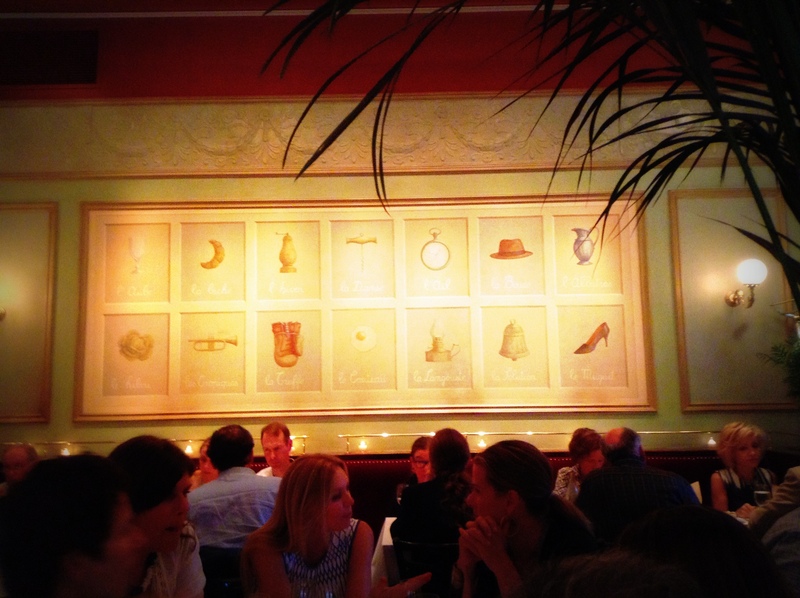 My palate was all a tither at the delights that awaited…. 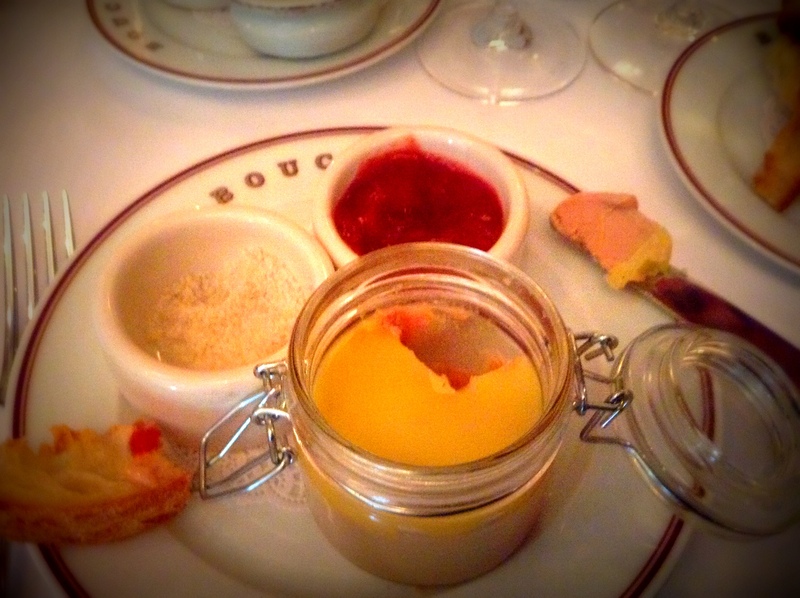 First, the Foie Gras de Canard ……….oh swoon…. 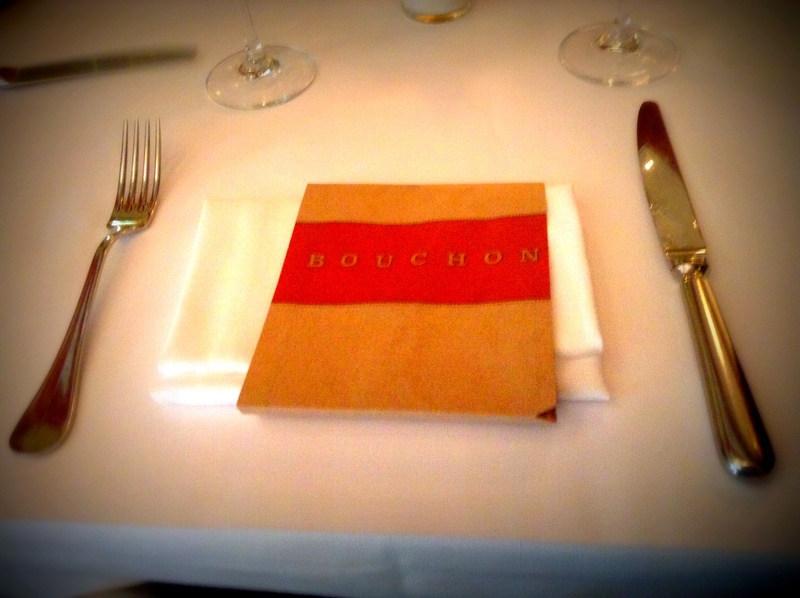 Sitting in Thomas Keller’s restaurant surrounded by laughter and the aromas of saffron….thyme…roasted meats…. 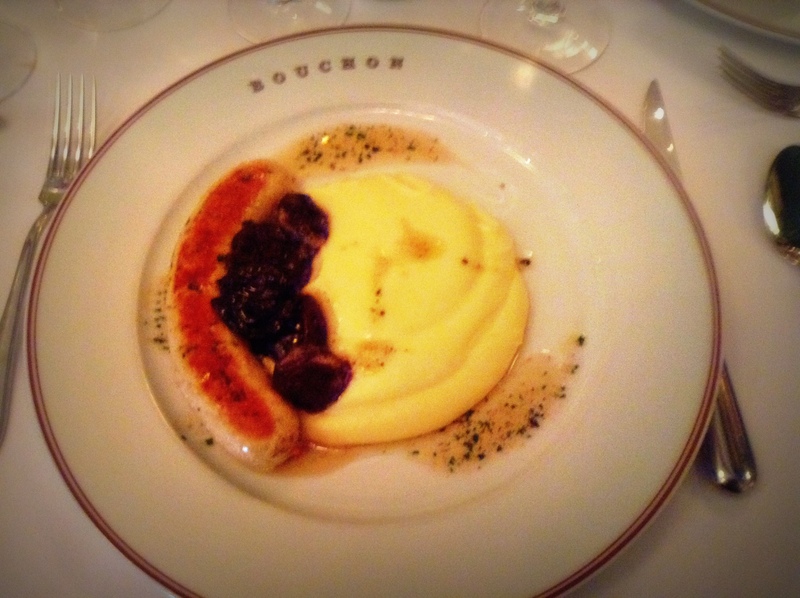 Then the mains came…Boudin Blanc ……..white sausage with dried French plums and mashed…. 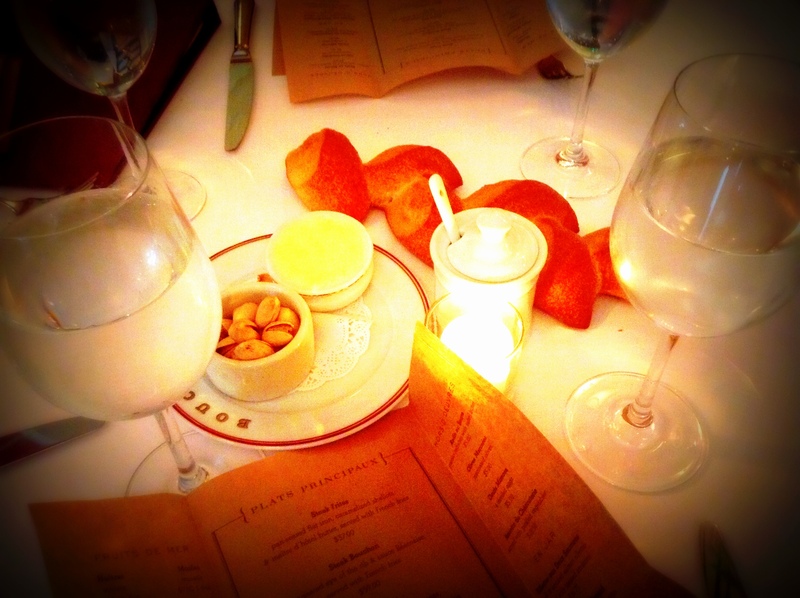 Absolutely Delightful……amazing service and delectable food…. 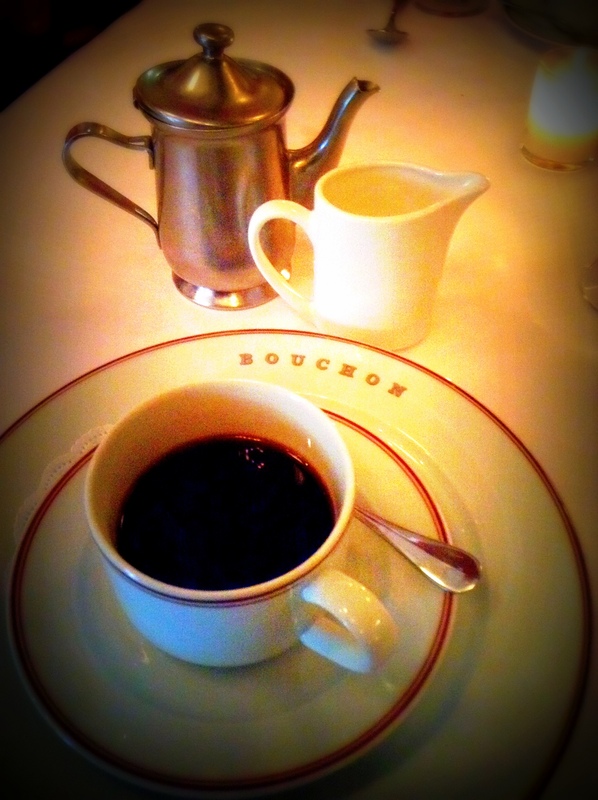 ….perhaps a bit of coffee…. 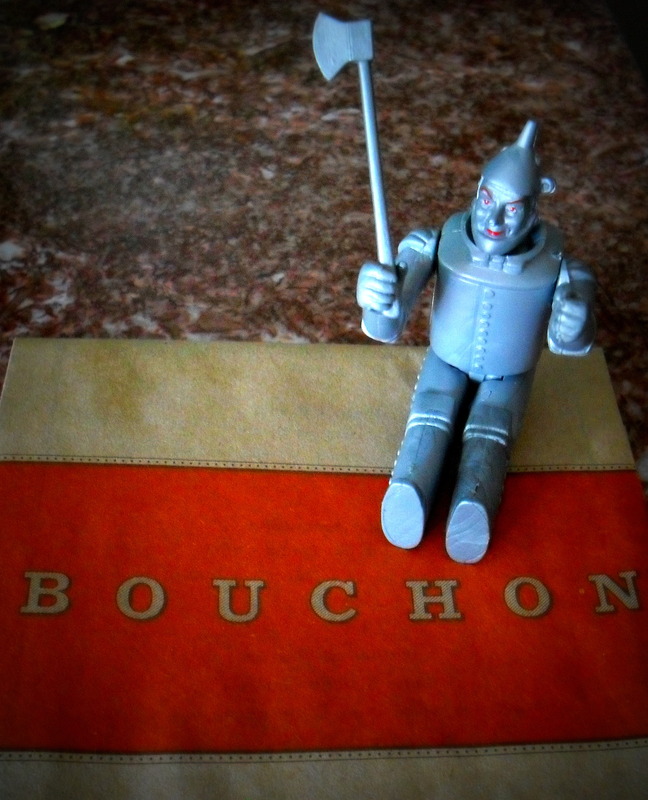 The Bouchon was such a delight, Tin Man was quite pleased the French Laundry was closed…hope you enjoyed the visit!